A Brand-New Chick Tract! : Bweinh! Aaaghhhh!! 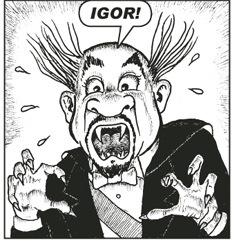 What has Igor done??? Bitten an arm instead of a neck -- again! A Brand-Newer Chick Tract Answer! I Love Chick Tract Excerpts.